Across Turtle Island, Indigenous peoples continue to resist the over 500 years of colonial occupation and its by-products, militarism, poverty and exploitation of Mother Earth. 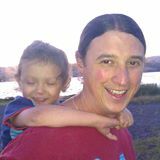 Resistance today takes on various forms from traditional language preservationist, to cutting edge tribal leaders & educators, to front line soldiers working to protect elders, children, communities, Mother Earth and the next generations. 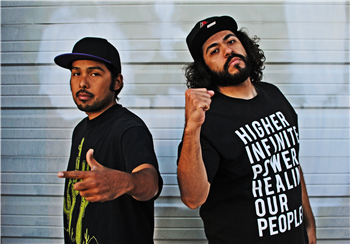 One outlet for Indigenous resistance comes from the world of hip hop. While much of hip hop and the current rap scene has sold its revolutionary spirit to corporate interest, leaving many of us who grew up with the likes of KRS One and Public Enemy yearning for days when the music had a message, socially conscious rhyme makers, and Indigenous hip hoppers in particular, are making their presence and message known. This entry was posted in Music, News, Visionary Leadership by lrinspire. Bookmark the permalink.